Observation - Moss in garden with developing capsules - UK and Ireland. 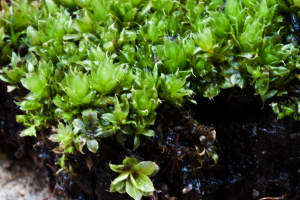 Description: upright moss growing in a tuft on a soil bank with green developing capsules. upright moss growing in a tuft on a soil bank with green developing capsules.